The winter cocktail is a classic recipe from the first part of the 1900s and it has been adapted for modern spirits. It is a wonderfully warming drink—even if it is served cold—and is one of those gems lost to time that is absolutely worth the reintroduction. Originally, it used a ginger brandy, but these are relatively scarce now. Domaine de Canton or any of the other ginger liqueurs are perfect substitutes. If you cannot find pimento dram, another allspice liqueur will do. If you like, this is also a perfect drink to transform into a hot cocktail. In a cocktail shaker, combine the rum, juice, sugar, and liqueurs and filled with ice. Add dashes of bitters on top. The ginger liqueur and pimento dram are very small pours, but that's the original recipe. If you find that it's not quite enough, try pouring 1/2 ounce (1 tablespoon) of either or both liqueurs and see how you like the taste. The aromatics in the winter cocktail make it an ideal candidate to create a variation on the popular hot toddy. It's very simple to do and the heat can really amplify all the spices. To make this a hot toddy, combine the ingredients in an Irish coffee glass or your favorite mug. Top it off with hot water or freshly-brewed tea, stir, and enjoy. If you'd like to go with tea, consider black and green teas. Earl Grey or an oolong would be excellent choices. It would also be very interesting if you were to use a rooibos. It has a wonderful smoky flavor that plays really well with ginger and other spices. You have many choices when it comes to the rum you pour into the winter cocktail. Generally, you'll find it best with either a light or aged rum. 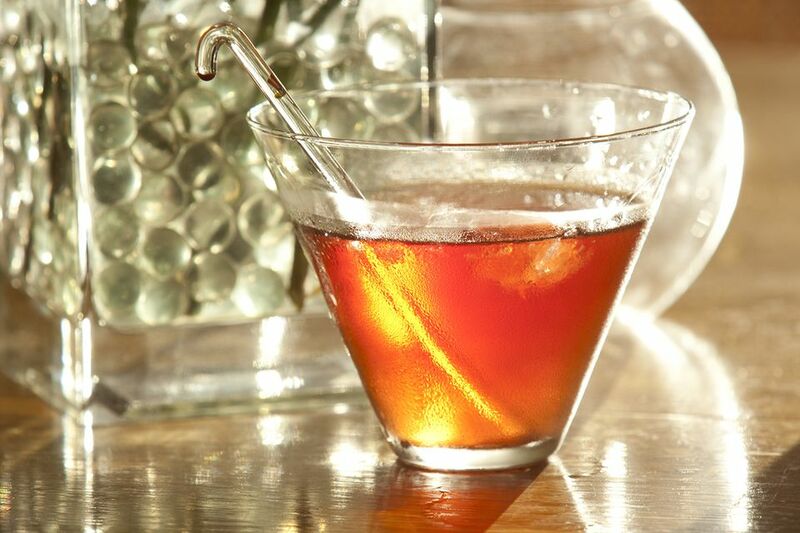 The light rum will add to the sweetness while an aged rum will impart a slight oakiness to the drink's flavor profile. It would be best to skip spiced rums because it will likely conflict with the drink's spices. You will find that many classic cocktail recipes use sugar rather than simple syrup, which many of us prefer to use today. The syrup is simply sugar in a liquid form, so it dissolves better in drinks. If you prefer, substitute simple syrup for the sugar. In general, it's recommended to use 1/4 ounce of simple syrup for 1 teaspoon of sugar. Depending on how sweet you made your syrup, you may need to adjust this to taste. How Strong Is the Winter Cocktail? As with many short drinks that are made mostly of alcoholic ingredients, the original winter cocktail is not what we'd consider a weak drink. As written, it tends to be around 25 percent alcohol by volume (50 proof) when mixed up.